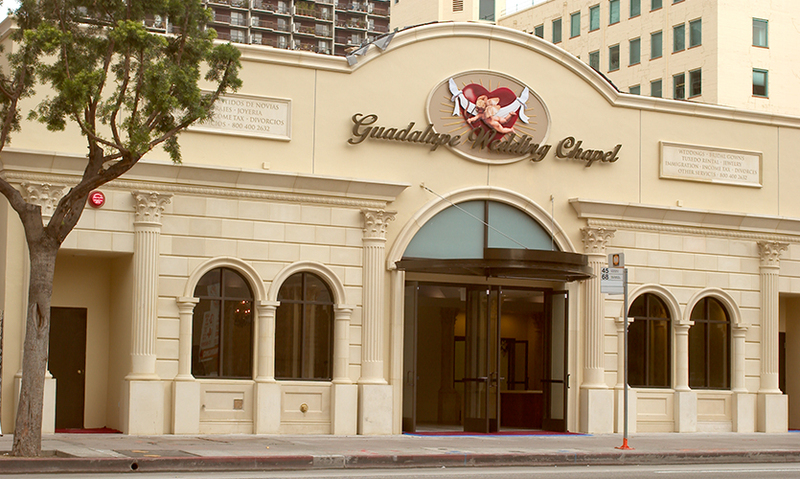 The Guadalupe Wedding Chapel is located within the historic district of Downtown Los Angeles, California. 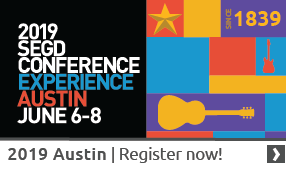 The core market demographic is 90% Latin. This second-generation, family-owned business has come to fruition through the creation of a brand image embracing the elements of romance and emotion found in classic architecture, warm interiors, and decorative finishes. Beyond the threshold of the entry lobby lay five individually styled micro-chapels which cater to hundreds of families and couples each week. There is a formal sense here, yet the tone is story-like and charming. 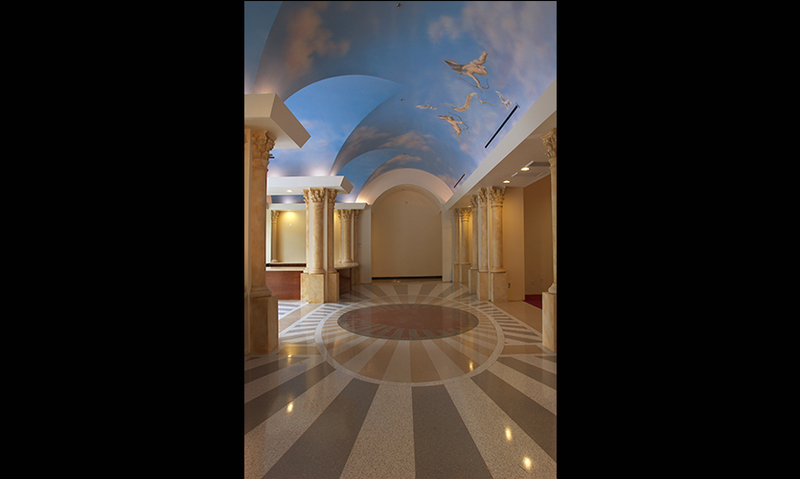 The terrazzo floor and ceiling trompe l'oeil add further to the story of love and promise. "The tone is both formal and yet story-like and charming. The terrazzo floor and faux-masonry façade suggest permanence, the heart cast in the floor pattern and the trompe l'oeil ceiling suggest romance and the ethereal. The inclusion of the 1-800 number in the cast-stone inscriptions suggests unbounded confidence in the business venture. 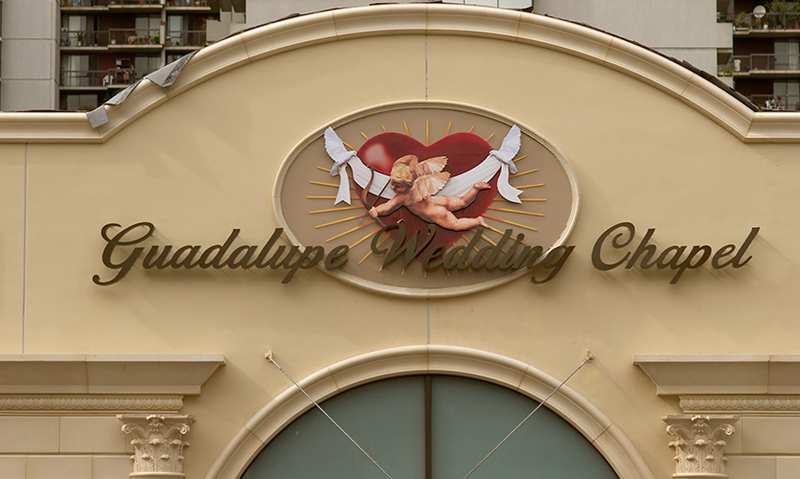 I doubt many of us will ever get the opportunity to make our end-users, whether in the process of marriage, divorce, tax-preparation, or tuxedo rental, as blissful as the designers of this project."